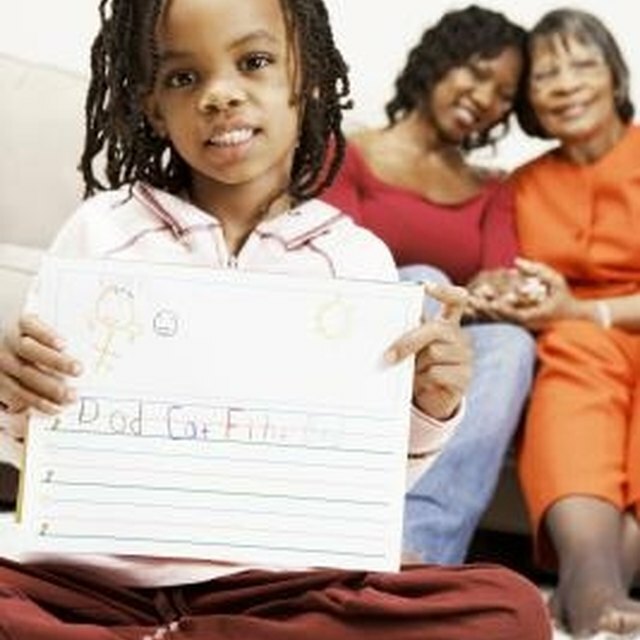 Soon your child will be showing off her handwriting skills, too. Teaching a child to write is one of the most important lessons she will learn. After all, most of us write a grocery list, a reminder note, or something every single day. 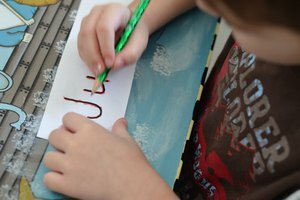 Making sure your child masters basic handwriting techniques will set her up to recognize letters more quickly, and this familiarity with the alphabet will help when learning to read. 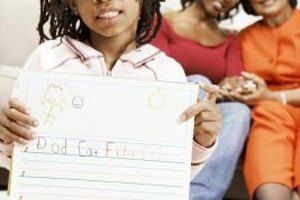 Furthermore, once your child knows how to write, she will have yet another way to communicate with the world around her. 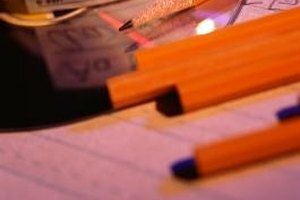 Notice the different types of lines on your paper. Each row has a thick line on the top and the bottom, and a dotted line in the middle. Different letters have different heights - some will reach from the bottom line to the top, and some will be only between the bottom and middle lines. 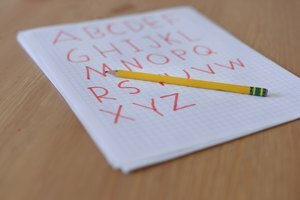 Write out the alphabet in capital letters. All uppercase letters are "tall" - that is, they reach all the way up to the top line of each row. Some letters, like A,B, E, H, and K, have lines or angles about halfway down, and you can use the middle line as a guide. 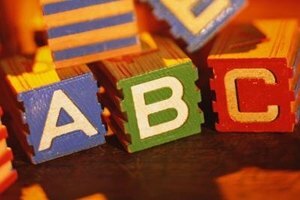 Write out the alphabet again, this time in lowercase letters. You should notice most lowercase letters are "short," reaching only to the dotted line in the middle or each row. The only exceptions are b, d, f, h, k, l and t, which are just as tall as uppercase letters. Some lowercase letters extend below the bottom line with what are called "tails." Letters with tails are g, j, p,q and y - you can see the features they have hanging down, like an animal's tail. The main part of the letter still sits on the bottom line like all the others. Katie Jacobson has been writing since 2008. Her writing is also featured in valeveil’s "CASEBOK/Ekphrasis" project, as well as on 2ktwelve.com and in "NextWords." She holds a B.A. in English from Occidental College and a writing M.F.A. from CalArts. Jacobson, Katie. "How to Write Tall & Short Letters." 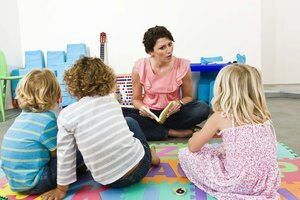 Synonym, https://classroom.synonym.com/write-tall-short-letters-8325320.html. Accessed 21 April 2019.